The Amped Wireless High Power 802.11ac Wi-Fi Range Extender is currently available for $99.99 and is a great way to extend your Wi-Fi network up to 5,000 sq ft. The Amped Wireless High Power 802.11ac Wi-Fi Range Extender utilizes high power technology to help amplify your Wi-Fi coverage for all of your streaming needs by duplicating the signal and reallocating it with a new extended location. Users with a 2.4 GHz and/or 5.0 GHz connection can help not only eliminate their Wi-Fi dead spots but give it an extra boost with super fast Wi-Fi transfer speeds. Yes, it really is that simple! The Amped Wireless High Power 802.11ac Wi-Fi Range Extender only takes a few minutes to set up and users will be enjoying their new device before they know it. Amped Wireless has created an excellent and superior product when it comes to the The Amped Wireless High Power 802.11ac Wi-Fi Range Extender which far exceeds anything on the market. The REC15A has four total amplifiers which consist of two 2.4/5.0GHz amplifiers and two low noise amplifiers. The universal Wi-Fi Range extender also features a high gain dual band antenna and a wired port to meet all of your needs for your PC, TV, iPad, tablets and smartphones. In the end, The Amped Wireless High Power 802.11ac Wi-Fi Range Extender is a must-buy at with its affordable pricing, easy setup and endless possibilities for all of your Wi-Fi needs. Enhance all of your gaming needs and create a more seamless experience today with Amped Wireless‘s new Wi-Fi Range Extender! 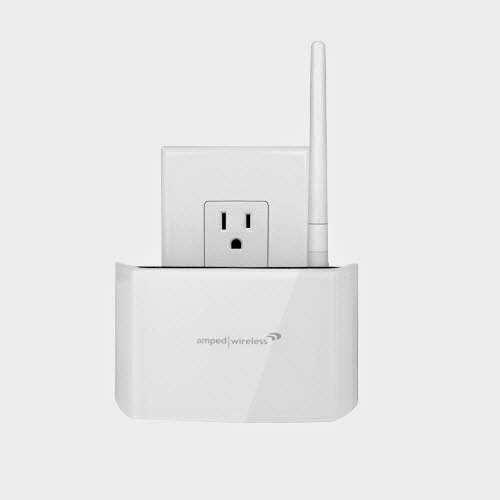 The Amped Wireless High Power 802.11ac Wi-Fi Range Extender is now available for purchase for $99.99. 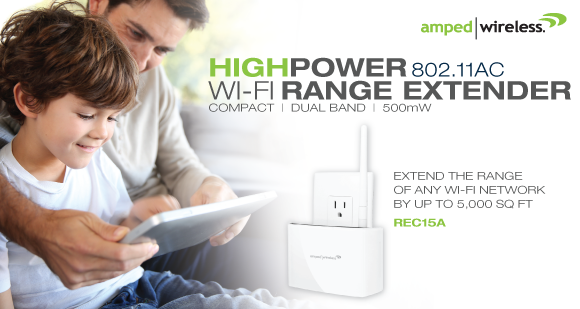 To learn more, visit the official The Amped Wireless High Power 802.11ac Wi-Fi Range Extender website. Connect an additional PC, A/V device, server, or printer to your network. Extends the range of both 2.4GHz and 5.0GHz Wi-Fi signals at the same time for maximum bandwidth.